The automotive industry is changing every year. In the past several years, PDR has become more and more about time and efficiency. While sticky notes, filing cabinets, and paper in general have been pretty useful for a long time in PDR, things are changing. To stay competitive, PDR shops have to do more, and do it faster and more efficiently than their neighbors down the road. It requires constant effort, adaptability, and monitoring of the market. In today’s PDR industry, everything needs to be monitored in real-time. Your back-office, technicians, and managers need to know exactly what is being done, where it’s being done, and who’s working on it to keep up with the growing competition. Paper just can’t keep up, and neither can you. 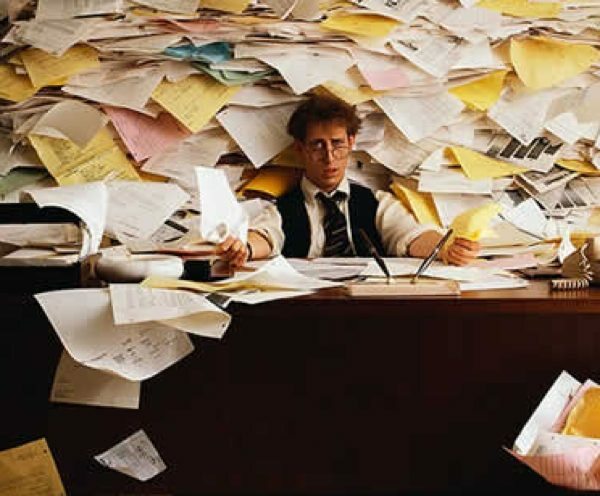 Here are 6 of the best reasons for your PDR business to go paperless. It just can’t track data as easily as an automated workflow system– paper can get lost, be overlooked, and cause delays. You don’t want delays impacting your revenue. It can’t be organized as easily as it could be in a digital format– depending on sticky notes, filing cabinets, and stacks of paper means you don’t always have the information readily available wherever you are. It can’t be shared in real-time no matter where you are– sure, you could type up in email outlining some paperwork, but it’s much easier to have it all in the palm of your hand and shareable at the click of a button. You can’t really make edits or changes too easily without completely redoing the paperwork– whereas the most successful PDR business’ right now simply update shared information on their mobile devices for everyone to see. It’s just not as professional these days– sifting through paperwork or struggling to find information can look bad for your business. Nowadays, pulling up information on the fly helps your business look as professional as possible to customers. It has an invoicing process that can take hours, while management software can do all of your invoicing for you in just a matter of minutes. What Can Good Management Software Do For Your PDR Business? Embedded VIN decoder that can avoid duplicate records, look up trim, paint codes, and vehicle recalls. Create R&I labor time estimates. Look up the conventional repair costs so you can stay competitive. Calculate commissions, which can include: flat rate, % gross/net, tired commissions, and splits. Full-service menu control where you can organize accounts individually. Set, adjust, and control the most complex pricing models for customer specific pricing. Dispatch and schedule service requests. Approve estimates in just a few seconds. Connect to accounting and shop management software systems. Create customizable question forms to ensure quality and process compliance across your business. Share inspections, work orders, and invoices across all of the teams. Print template layouts that you can use and configure. Email templates that can help you brand your PDR business. Real-time data reporting that you can access anywhere, at any time. Report technician commissions calculated from invoices in a particular status, track repair cycle time by departments, and a lot of other improvements. Manage mobile devices on which Repair360 mobile app is installed; add, edit, and archive clients on the Clients page, and other useful improvements. The main menu now disappears automatically when you click anywhere on the screen and works consistently regardless of browser and screen resolution. Delete multiple parts from repair orders, select multiple parts when adding a part service to repair order, add labor services to part services, and more. Closed repair orders do not show up on the Parts Management page. What Can PDR Software Do For Your Back-Office Operations? While your front-end operations are where the money is made in PDR, your back-office can make or break how efficient your business runs. Every front-end task depends on the back-office running quickly and efficiently. So, as you may know, if there are any backups or delays in back-office paperwork and processing, your front-end operation will struggle as a result. Fortunately, the auto industry is always evolving to increase efficiency, reduce cycle time, and increase throughput. So, with a rapidly changing market, the most successful PDR businesses have implemented PDR software into their entire operations, back-office included. PDR software can track anything from invoices, salaries, commissions, hourly payments, estimates, billing, and much more, and communicate with your accounting program for error-free entries. By streamlining all of your financial work, you can free up time and effort towards other tasks that will earn your PDR business money. Handling timekeeping and employee compliance can be incredibly time-consuming. With PDR software, you can simplify processes and streamline your entire back-office. With good PDR software, you can completely automate both back-office and front-end operations. You can set up how you want work to be completed, the order it should be completed, and track who’s working on a job and where. By simplifying communication and making every task have clear-cut directions and order to things, you’ll save plenty on time and money. Because all of your business information is saved natively and on a cloud server, you can access your all information on the fly from your desktop or mobile device. You won’t have to sift through paperwork or wait for approvals. You’ll be able to track all work and spot any delays in real-time to keep things moving. No more sticky notes or paper files that can get lost and create a backup. Everything is available at the click of a button, and all of your departments can access the information they need, instantly. Set up commission profile to ignore repair order services in the Skipped status when calculating commissions from invoiced work orders, and other improvements. Using adjusted net amount in the Tech $ column of the Tech Commissions By Paid Date and Client Area report. The Labor Time by Employee report has been improved. 2018 has been a volatile year for the auto industry. It started off with a lot of uncertainty, but as everything has begun to fall in place, we now have a clearer picture of where it’s all heading. There’s been a growth in the economy; however, new vehicle sales have gone down. The tariffs that were created to help American companies, unfortunately, had a negative impact on automobile manufacturers both internationally and here in the states. New vehicle dealerships made money, but the profit margin dropped a little. Beyond that, new cars are struggling while used vehicle sales are going up. Now, more than ever, the reconditioning industry has become increasingly important for both consumers and dealerships. With all of that in mind, let’s look at the most important trends to look out for going into 2019. Ford and Chevrolet are expected to drastically reduce their sedan production come 2019. This trend first became known when Ford announced they would discontinue all of their cars outside of the Mustang and Focus Active, and will continue producing their trucks and SUVs. With two of the biggest vehicle manufacturers changing focus, you should expect others to follow in their footsteps. For many, it’s expected that SUVs and Trucks will be the most popular vehicles by 2020. With companies, such as Tesla, prioritizing all-electric vehicles, it should be no surprise electric has become as popular as it has. No matter where you look, you’ll see traditional manufacturers following suit. There’s the BMW i3, Volkswagen e-Golf, Hyundai Ioniq EV, Chevrolet Bolt EV, and more. Beyond that, hybrids remain a popular transition vehicle from gas to electric. No matter what, electric vehicles will grow exponentially in popularity. In the US alone, you may have already seen an increase in charging stations. With companies shifting their focus to hybrids and all-electric, it’s important to know how much they’ll impact the industry. It’s safe to say we are still a couple years from having fully autonomous vehicles on a mass scale. However, with all of the sensors in vehicles today, it’s easy to see where the market is heading. We already have proximity sensors, parking cameras, built-in navigation, and other self-adjusting features being implemented into our vehicles. Beyond that, companies such as Toyota and Ford have already begun investing in self-driving vehicles. This trend was further bolstered when Congress signed a bill in support of self-driving technology. It shouldn’t surprise anyone to hear that self-driving vehicles are being looked into by companies, such as Uber, for commercial use as well. Whether it happens in 2019 or not is up in the air, but it’s hard to deny that the use of AI has been steadily increasing. Whether it’s our smartphones, tablets, or computers, there’s an AI to help. There’s Siri, Cortana, and Google Assistant, and manufacturers like BMW have already partnered up with Google. Companies like Porsche, Cadillac, and Lincoln already have subscription plans in place. If you’ve been in the auto industry for long enough, you know that the big changes tend to happen with luxury vehicles first, and then trickle down over the years to standard vehicles. Beyond that, we simply live in a time where subscriptions are the big thing. Whether it’s Amazon, Netflix, Spotify, or even gym memberships, subscriptions are the way of the future (for now). Subscriptions for the car market benefit consumers. It provides them with the opportunity to upgrade or acquire a new car much more easily than they currently can in our buy-or-lease market. However, subscriptions are also great for automakers because consumers will feel obligated to stay within brands. This is something you may have heard about a couple of years ago, but it’s now looking increasingly likely to happen soon. In the near future, 12-volt electrical systems will be phased out, and eventually replaced, by 48-volt systems. This is because we live in a digital age where we have computers in our pockets, navigation and sensors in our vehicles– all things that require an increasingly larger amount of power. The used car market is a billion dollar industry already. But if the last year has shown us anything, it’s that it is slowly taking over vehicles sales. In the US, alone, the average vehicle out on the road is 11.5 years old. This means more and more consumers are keeping and maintaining their cars for much longer. Beyond that, as a result of the tariffs and the vehicle price increases, used car dealerships have become the preferred option for many people. With vehicles becoming increasingly sophisticated and consumers driving cars for much longer, the reconditioning process will have to evolve. Right now, some of the most successful shops have already anticipated the change and have adjusted accordingly. They’ve stopped relying on paper and inefficient methods. You’ll see shops getting the latest paint booths, the fastest paint dryers, and workflow management software to track jobs and tackle constraints. 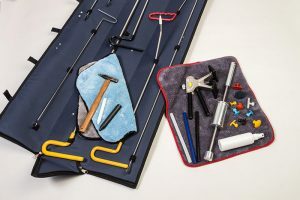 In fact, with the sophisticated technology in cars, you’ll need better equipment, better-educated technicians, and faster ways to organize, track, and adjust your lean processes. Everything will need to be done quicker, and you’ll need to embrace technology in this digital age. Management software can track where vehicles are, how long each step takes, who’s working on them, what’s wrong with the vehicles, what work has been done, and more, all on mobile and back-office devices. It’s designed to make the reconditioning process more efficient so you and your technicians can upload documents, take photos, and apply updates for everyone to see in real-time, at the click of a button. AMT offers software solutions designed to make your reconditioning business more efficient, provide you with better visibility, and give you peace of mind knowing that your back-office is always up-to-date. ReconPro is the industry’s most versatile and powerful software solution purpose-built for auto recon professionals. With essential tools for performing PDR estimates, hail and insurance matrixes, parts management, paint code lookups, integrations with DMS, body shop crash systems and accounting systems, too. ReconPro manages the details of running your business so you can focus on growing your business. With your dealership managing recon workflows in ReconMonitor, and your vendors and technicians using ReconPro, you have a complete digital ecosystem for end-to-end visibility and efficiency in your reconditioning operation. 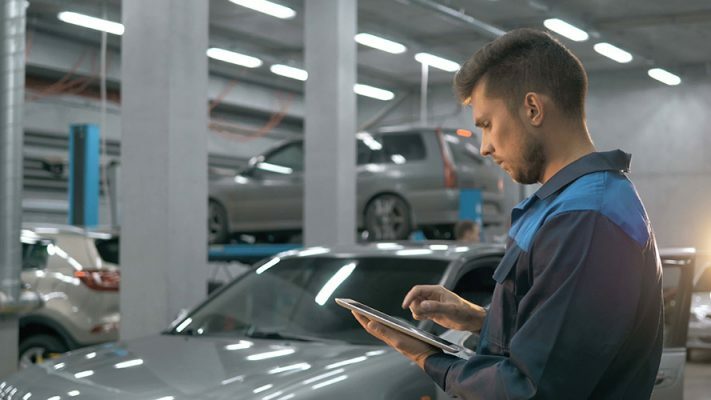 For help with software solutions designed to make your dealership’s reconditioning process more efficient, provide you with better visibility, and get your cars frontline in the shortest possible time, schedule a demo today. Managing your own SMART repair business is truly rewarding. You have the freedom of being your own boss with the opportunity to grow and nurture your business. But when managing the business, it’s easy to find yourself drowning when scheduling repairs and answering service requests. There are always arduous tasks preventing a smooth business operation, affecting your own sanity as a business owner while keeping customers happy. Luckily for PDR/Hail and SMART repair professionals, there are software programs designed to enhance your ability to compete within your industry and come out on top. Not all programs are designed equally, though, and many businesses are left with a half-functioning system that only slows their process down. ReconPro was designed by AMT’s engineers with the mobile repair professional’s needs in mind. Born from a love and understanding of the Automotive industry, the ReconPro app offers a seamless integration from inspection to invoice. One of the many unique benefits of ReconPro is its efficiency with service requests and scheduling. These two aspects of auto reconditioning are the backbone of your business. So, why not have a streamlined process? 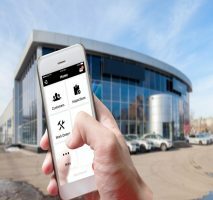 If your mobile repair business is hired to do work for a dealership, the scheduling automation lets you show them how efficient your reconditioning process is right from the start. Say a major hail storm cuts through town and a dealership contacts you with hundreds of vehicles needing repairs. Their typical reconditioning jobs take weeks, but your company can cut the repair time down to days. This shows your technicians and business are efficient, organized, and can complete large-scale reconditioning quickly. You’ll pick up more jobs simply because you have a process that actually works. Service Requests, scheduling repairs, and managing schedule updates are traditionally riddled with their own separate documents or multiple email threads. ReconPro allows for everything to be completed in one location, providing the perfect balance of administrative tasks and actually working on the business. Once a service request is completed, you can assign work orders and take care of scheduling technicians to complete tasks within the software. You can manage customers, jobs, staff time and attendance, accounting, invoices, and more. Once a car is in the system, it is being tracked. You can see what’s not moving, reassign orders, and review your technicians’ work to stay on top of how long certain repairs should take. ReconPro lets you spend more time on what makes the business successful – the repairs. From initial inspection, to documenting damage, to work approvals sending an invoice, ReconPro completes and submits information in an accurate and organized manner. Every job is unique – No dent is the same, no two customers are the same. You can adjust ReconPro to fit your customer’s pricing arrangements, approval process, and even the paperwork process to fit your client’s needs. AMT invites you to request a free demo of ReconPro to see how it enhances your PDR/Hail or SMART repair business.